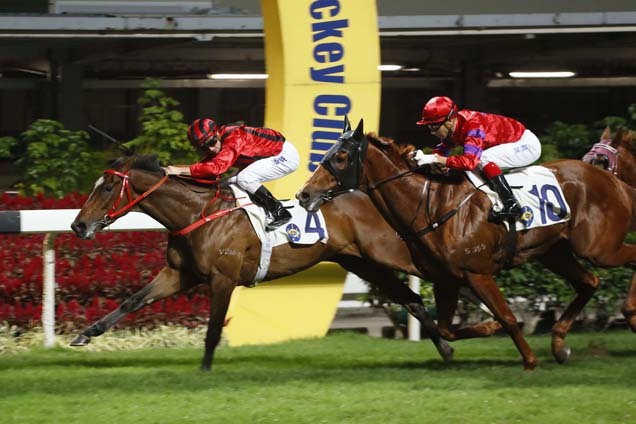 Dinozzo is a work in progress but the raw three-year-old took a stride forward in his development with a first Hong Kong win in the Class 3 Australian Turf Club Trophy Handicap (1800m) at Happy Valley tonight (30 November), one of two features on the eight-race programme. 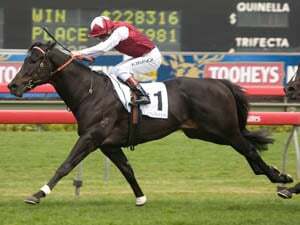 “I think he’s still learning – behind the gates he works himself up a little bit and it bothers him some, so in that regard he could probably just chill a bit,” jockey Zac Purton said after driving the 3.6 chance to a neck success. 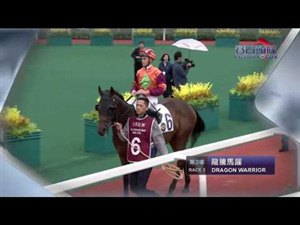 Dinozzo (127lb), a Navan juvenile maiden winner at his sole start in Ireland pre-import, had already shown promise in two Hong Kong outings for trainer John Size, finishing third and second. Purton was in the plate both times. 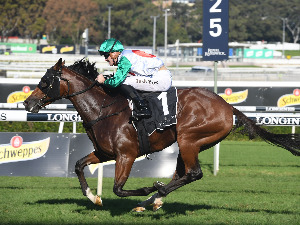 Purton settled Dinozzo mid-pack after breaking from gate five, then sent the gelding to the lead with 200m remaining and drove hard to hold the Joao Moreira-ridden even-money favourite Victory Boys (118lb) – Lotus Strikes Back (123lb) was a further length third. The winning time was 1m 49.71s. “He sort of waited for the other horses a little bit and as they came he found a little bit to hold them off, which is a good sign. 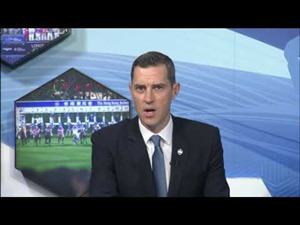 I’m sure, as time goes on, he’ll keep getting better,” Purton said. Lucky Day (122lb) took the night’s other feature, race six, the Class 3 St Andrew’s Challenge Quaich Handicap (1200m). Tony Cruz’s charge was in playful mood entering the track but knuckled down once the race was on. The seven-year-old quickened through a tight gap at around the 200m mark to lead under Neil Callan and, despite flicking his ears upon seeing daylight, held on by a head from the Nash Rawiller-ridden Charity Glory (128lb). “It was tight there in the straight but it was the only option I really had,” Callan said of the 23/1 shot. “He had a nice trip and my only option was to go between them because Nash was going quite well on my outside so I couldn’t really hammer him out of the way. I managed to keep him balanced and wait for the gap to open, and as soon as it opened enough for me to go I didn’t need another invitation. “He travelled well, but I knew he felt well because when I went out on to the track he was trying to buck me off, which is not like him – it just meant that he had a spring in his step. Oisin Murphy broke his Hong Kong duck at Sha Tin last Sunday, and with a two-day suspension set to commence on 7 December, the young Irishman’s victory atop the Chris So-trained Yo-Yo Da in race three was timely. Murphy’s desire to make a mark during his short winter stint can be gauged in the fact that of his full book of eight rides three were down at his 118lb minimum. 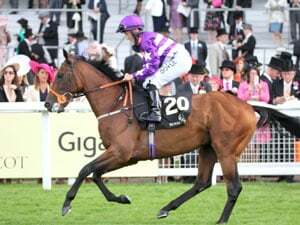 And despite the rigours of riding at his base weight, Murphy displayed astuteness and strength in equal measure to make all aboard Yo-Yo Da in section two of the Class 4 Inverness Handicap (1200m). Sea Jade was the night’s easiest victor. John Moore’s charge scooted to the lead from gate two, enjoyed an uncontested lead and quickened away to a four and a half-length success in section one of the Class 4 Inverness Handicap (1200m). The win took the Star Witness gelding’s record to two from seven and provided Purton with leg one of a double on the night. “It was a bit of a roll of the dice coming here with him for the first time,” Moore said of the three-year-old, successful at the distance at Sha Tin in October. “The positive thing was that we knew he had good gate speed and if he did handle it we knew he was a good chance. A lot of other people thought the same – look at the odds, he went from bigger than 4/1 into favourite at 2.7, so there was confidence from outside. Meanwhile, Damian Lane took his Hong Kong career tally to eight wins with a double. 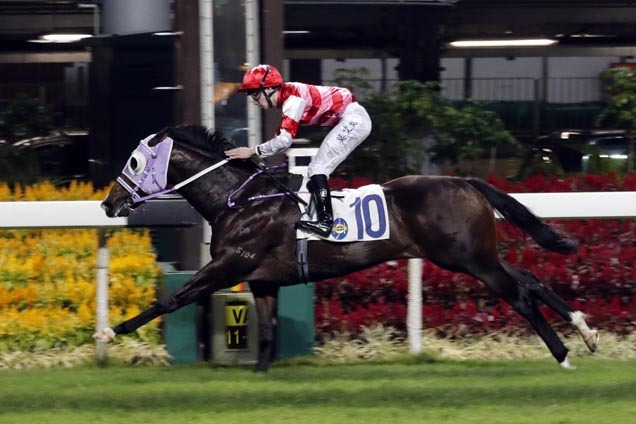 The young Australian hoop had drawn a blank upon his return to the circuit at Sha Tin on Sunday, but hit the board in race five tonight, the Class 4 Lomond Handicap (1800m), aboard the Paul O’Sullivan-trained Pearl Furu. 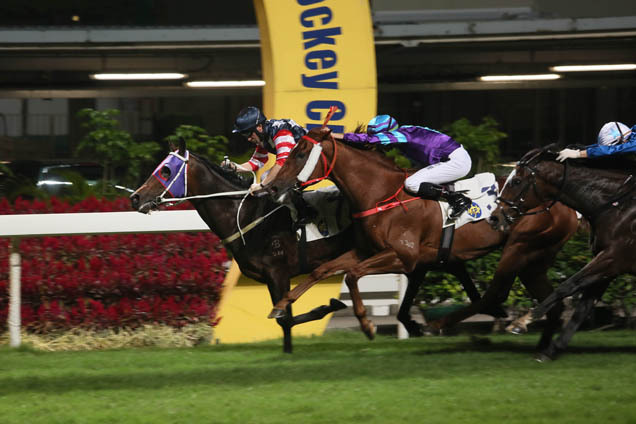 And Lane picked up a fortunate spare in the last, the Class 3 Stirling Handicap (1200m), replacing the indisposed Kei Chiong to make all atop the Ricky Yiu-trained Wonderful Journey. 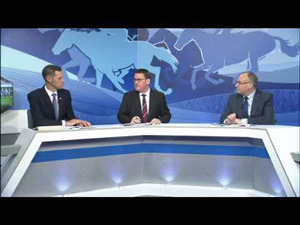 Hong Kong racing resumes at Sha Tin Racecourse on Sunday, 4 December. Next Wednesday’s Happy Valley fixture will bring together 12 of the world’s best jockeys for the annual LONGINES International Jockeys’ Championship (7 December).